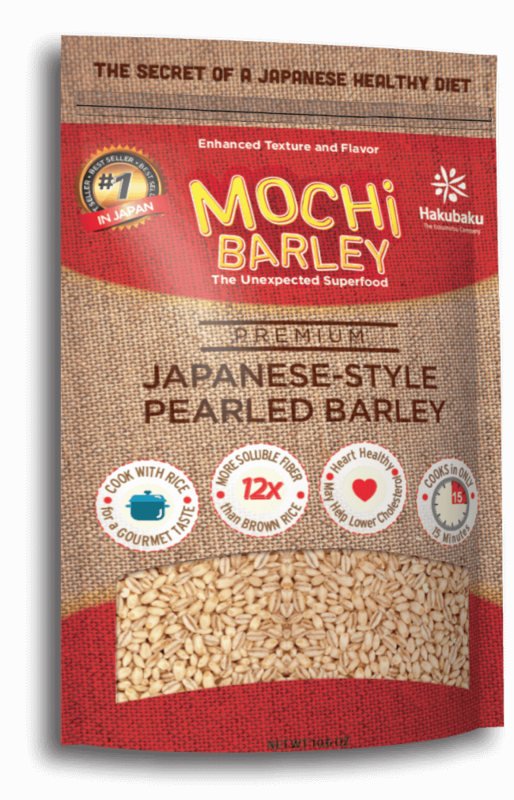 A new Mochi variety of Japanese pearled barley with enhanced flavor and texture. Compliments rice and rice dishes when paired with other grains. Heart-healthy Mochi Barley has 12x MORE soluble fiber than brown rice. High in heart-healthy Beta-Glucan (a soluble fiber) may help lower cholesterol. Easy and quick 15 minute cook time- as easy as cooking pasta! Mochi Barley by Hakubaku is the Number ONE barley brand in Japan. Hakubaku, as a leading company, has been committed to offer best quality food barley and other grain products since its foundation in 1941. 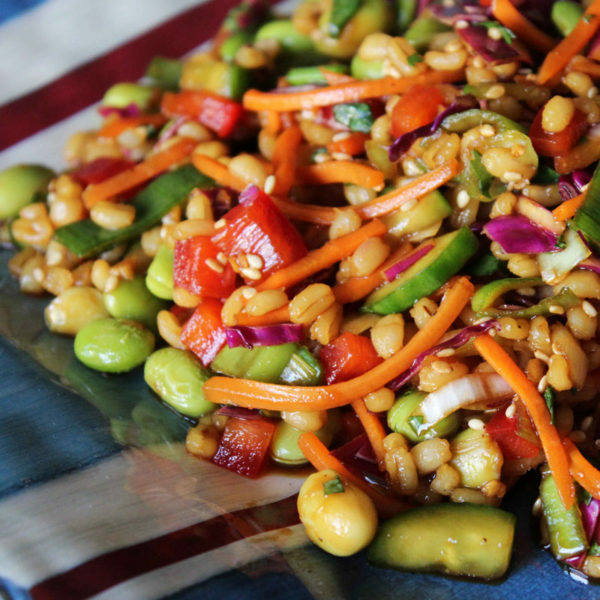 Mochi Barley can be used by itself or with rice to make any dish amazing! Mixing barely and rice (Mugi Gohan) has been a healthy Japanese diet tradition. Hakubaku's barley pearling process is a sophisticated and unique technology that makes rice amazing. The secret to a healthy diet. 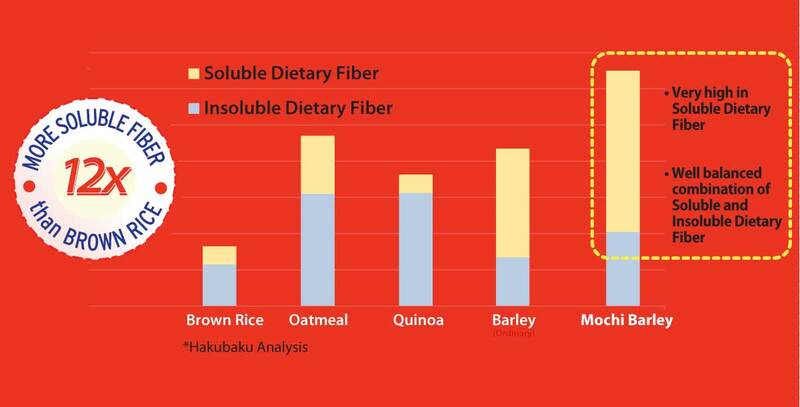 Mochi Barley contains more soluble fiber than conventional barley and other major grains. More than brown rice, oatmeal and evern quinoa! Looks like rice- with better texture and taste. Hakubaku Mochi Barley has Beta-glucan that may lower cholesterol and regulate blood sugar level. Mochi Barley contains Beta Glucan throughout the kernel – even after processing. 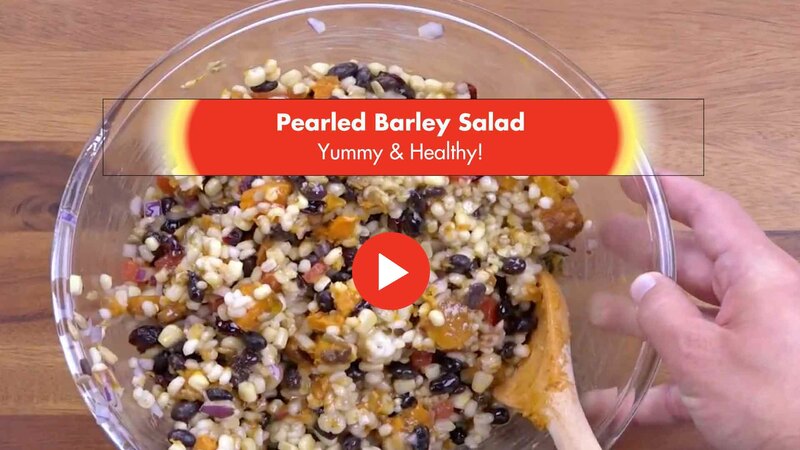 Mochi Barley is not only the best source of Beta Glucan, but also gives greater nutrition and flavor to your favorite rice dish. Totally unexpected!